Published in: Irish Examiner, 5 April 2011. Last month, A Blueprint for Ireland’s Recovery was issued by a group of prominent business leaders and public figures. 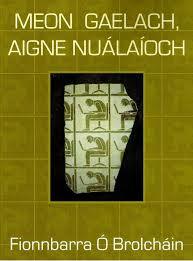 It details a plan that would ostensibly begin the work of rebuilding the Irish economy and creating a fair society. Yet, if nothing else, the ‘Blueprint’ highlights one thing: that we remain blind to the important role that culture and community can play in restoring the Irish economy. Although it offers a nod to culture as one of the ‘winning sectors where Ireland has proven success’, it misses the essential point that culture is neither a commodity nor an industry sector but rather a multifaceted and complex national resource that drives the creation of economic value. Strange since some of the same individuals who championed culture at Farmleigh in September 2009 signed their names to this document. The ‘Blueprint’ also contends that ‘without a thriving economy it is impossible to create an equal and fair society’. Surely this is back to front! Business is perceived by many to be prospering at the expense of the broader community. Increasingly, influential thinkers like Harvard’s Michael Porter argue that capitalism needs to reinvent itself as a higher form combining both profit and a social purpose. Porter holds that today’s most progressive companies leverage their unique resources and expertise in creating economic value by creating social value. This will radically transform business investment in communities. As the world shifts inexorably towards an innovation age of services, it is primarily intangible assets that create value; and imagination, fed by our inimitable linguistic and artistic traditions, is the most valuable of all. Stories, for instance, create a rich visual imagery through conversation, reflection and shared meaning. This is why Ireland’s unique tradition of metaphor, folklore, storytelling and mythology is so precious. But just like physical infrastructure, our cultural infrastructure needs investment too! Far from representing dead artefacts that are anti-modern and non-economic, our cultural heritage represents a significant asset that fosters innovation, creativity, entrepreneurship and meaning. This, in turn, represents a dynamic, if unappreciated, source of competitive economic advantage. A sustainable advantage derives from resources that are rare, unique and difficult to imitate. The low corporate tax rate controversy illustrates how dangerous it is for this country to rely solely on a factor that other countries can influence or indeed easily replicate themselves. It is tragic that lack of appreciation of our distinctive, rare and valuable resources continues to retard Ireland’s creative and innovative potential. Creative personalities cannot be produced without an integrated community that has a unique and continuing experience of its own. The Irish personality cannot reach its full potential except within its own unique cultural milieu. It is intriguing to consider the potential impact on young people, many of whom understandably suffer from alienation during these difficult economic times, if a concerted effort were made to foster a strong sense of cultural identity. 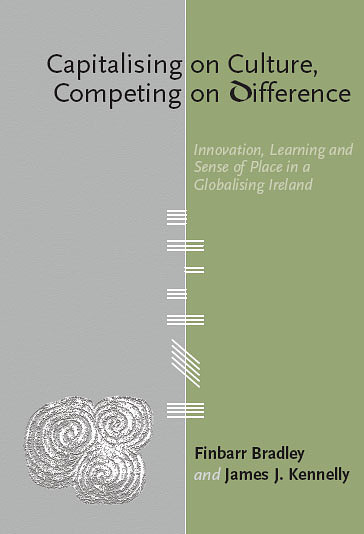 Students should think globally but feel rooted in Ireland, so learning must emphasise a sense of place and shared meaning nurtured by experience. This is at least as important as skills in science or mathematics in developing an innovative ethic. Language, for its part, is a practical manifestation of cultural and social context, and plays a vital role in the construction, interpretation and sharing of meaning. This suggests that dynamic multilingual communities are more likely to stimulate new ideas and innovation than monolingual ones. But the nearly exclusive use of English as the language of Ireland has led to a restricted and shallow world-view stripped of tradition. The country tends to absorb second-hand ideas developed elsewhere, especially on the economy, without making adjustments essential for a genuinely innovative culture. 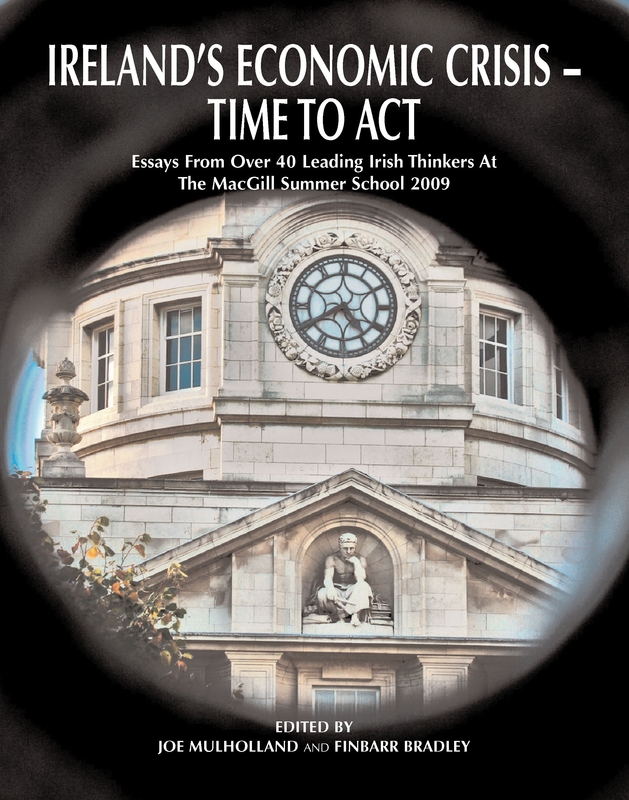 US best-selling author on globalisation Thomas Friedman points out that countries like Ireland need to develop ‘sufficiently strong cultural and environmental filters’ to operate successfully in today’s world. We need to again embrace our unique imaginative tradition which is fostered by belonging, purpose and idealism. Even T.K. Whitaker, who was responsible for transforming the Irish economy and embracing the world, had a strong cultural perspective at the core of his vision. Tradition is not a dead artefact but a living resource! By presenting a compelling view of the past, it provides a guide to the future. Continuity between past and present builds a more trusting and caring society, while cultural identity contributes to integrity, civic responsibility, aesthetic sensibility and ecological stewardship. Individuals with meaning in their lives possess a spirit of self-discovery and an innovative mind-frame. This is why culture and a sense of community are essential to our economic future.